On Tuesday morning at 9 a.m., United flight 1111 took off from San Francisco International with a likely load of gleeful passengers bound for paradise. 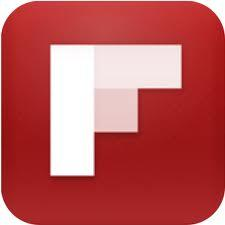 Then something happened and the flight had to return to San Francisco…. after circling over the Pacific Ocean for four hours, arriving at about 1 pm. I was not on this flight, but have been able to piece together what happened. UA1111 departed on time at around 9 a.m. bound for Lihue, Kauai, but experienced a maintenance issue shortly after take off which required a return to SFO. To make it to Kauai safely (2,540 miles away), a Boeing 757 is loaded down with a LOT of very heavy fuel. It’s so heavy in fact, that the plane cannot land with that much fuel onboard. However, a Boeing 757 is not able to dump fuel, according to my aviation geek buddies with whom I had a Twitter chat about this. 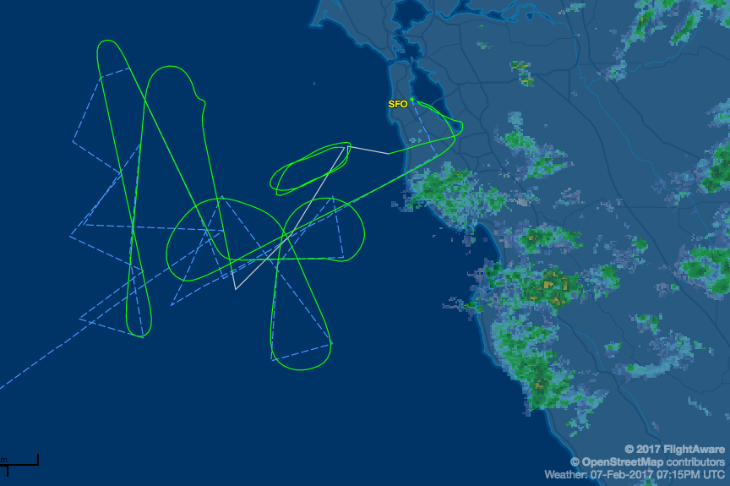 So… this meant that pilots had to fly the plane in circles for four hours off the coast to burn off fuel and lighten up before returning to SFO for a safe landing at 1 pm. 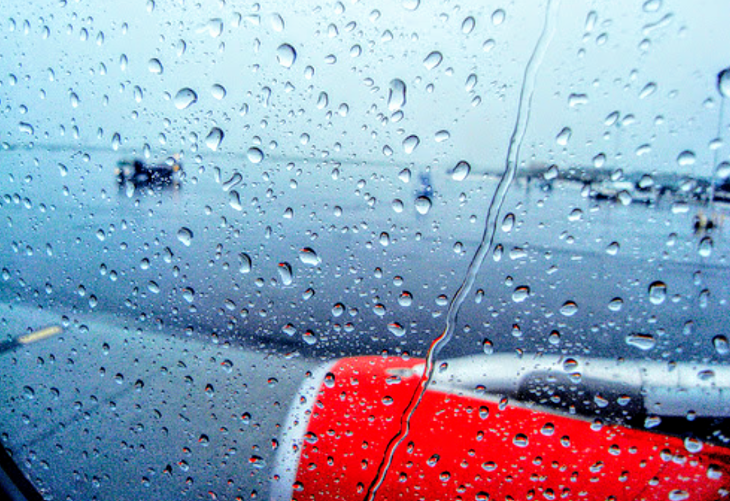 I can only imagine the groans from passengers when the pilot had to inform them that they’d be flying around for four hours, landing back in rainy SFO instead of sunny Kauai. 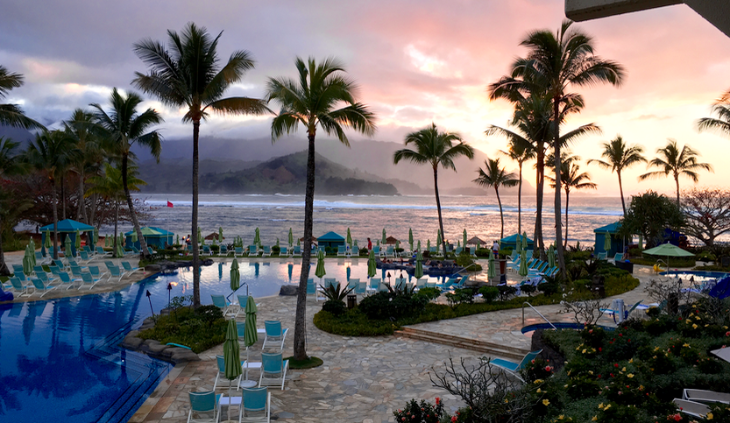 In Kauai, there were undoubtedly people to meet, cars to rent, meetings to attend and hotel rooms reserved. These folks were ready to get their toes in the sand, no doubt! I contacted United to find out how this all played out, and it sounds like the airline did a good job recovering from this mishap. 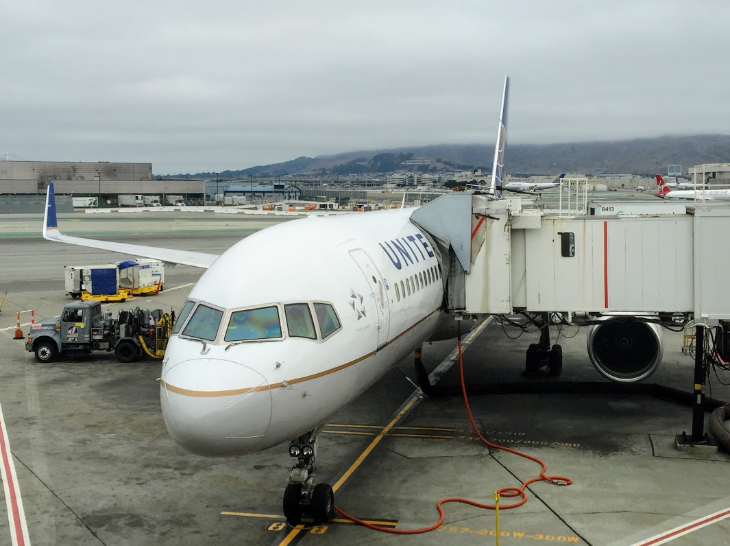 A spokesperson told TravelSkills that when the plane landed back at SFO, United offered passengers drink and meal vouchers. 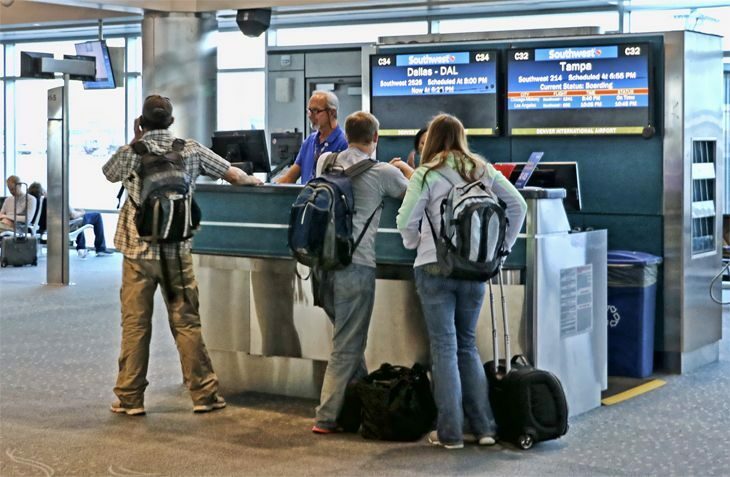 Another plane was called into service to re-accommodate passengers, and took off at 4:30 pm and arrived in Lihue 6 hours later at about 9 p.m.
UPDATE: A lot of readers are wondering why United didn’t just fly the plane to Hawaii if they were going to circle for a few hours. The reason is that United did not want to fly a faulty aircraft thousands of miles out over the ocean. Instead, pilots circled within a few hundred miles of SFO so they could land if they had to. 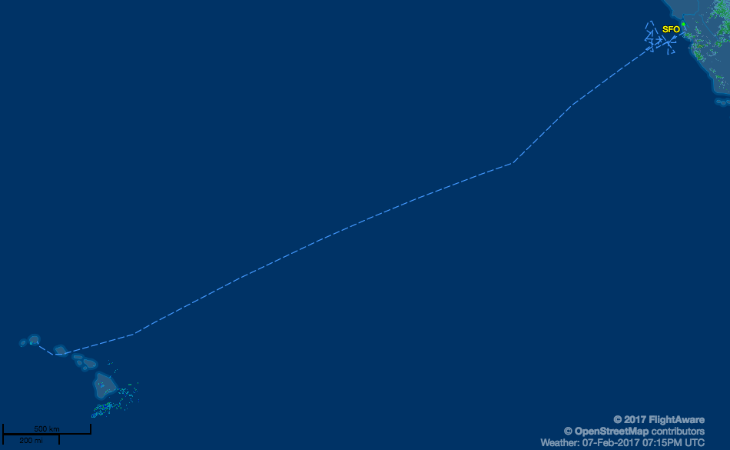 Here’s an image of how far the flight is to Hawaii… and how close the plane stayed to SFO. Phew! Has this ever happened to you? What’s the worst or most painful delay or cancellation you’ve had to deal with? Please leave your comments below.